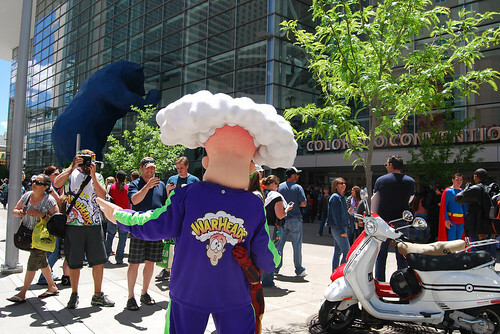 In writing about Denver Comic Con, I had to keep in mind that not all my readers are fans of comic books and pop culture like me. 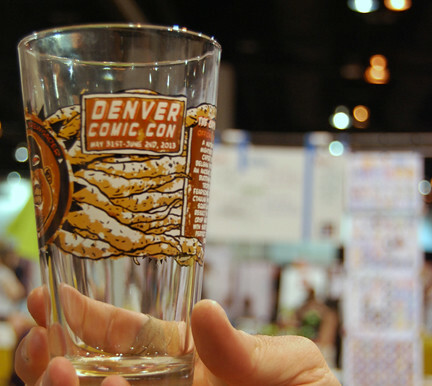 So while this post stems from the Denver Comic Con, these are just the food-related items. An official beer should be taken into consideration by the official of San Diego Comic-Con. I didn’t witness any rowdy behavior. It would make sense for San Diego brewers to do a cross promotion with the comic convention. 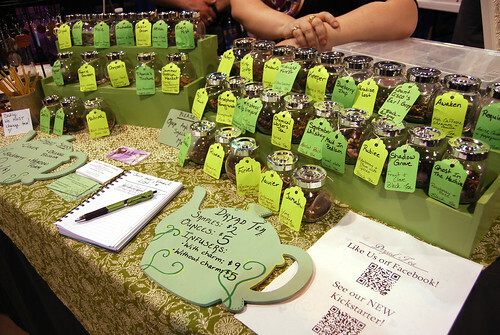 But I was especially smitten with Dryad Tea. 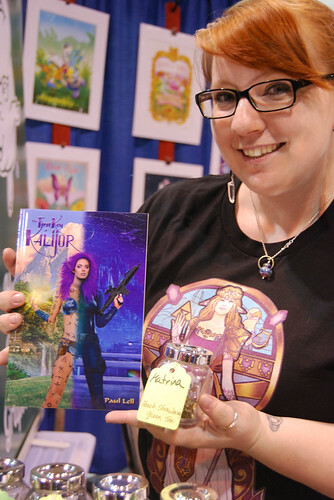 Specially crafted teas were created with characters from The First Key of Kelijor, Jumah’s World and other books by Paul Lell in mind. It’s a cool way to experience the characters and books via your tastebuds. 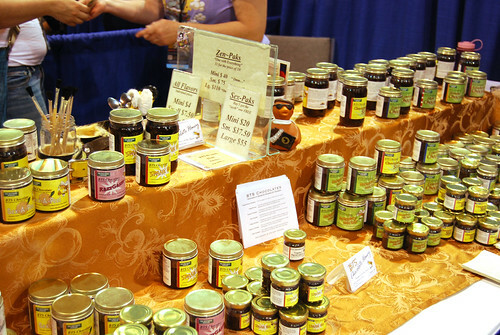 The convention also provided food concessions. 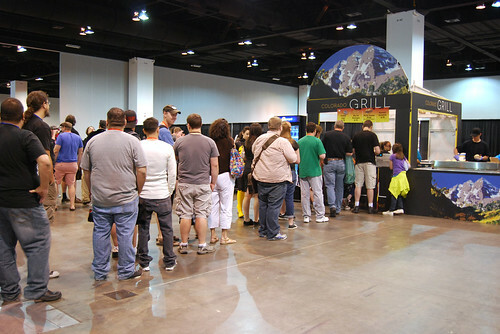 Considering it was a hassle to get onto the convention floor, lines around the available hot food concessions stand were long. And tables were a plenty. 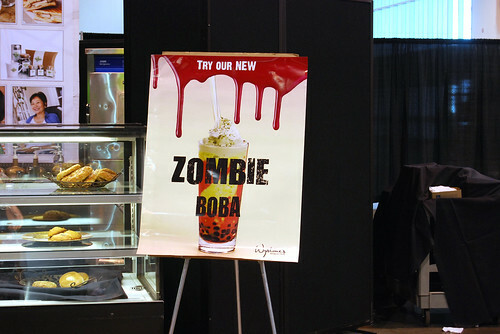 Hot concessions included fresh donuts (made right before your eyes), turkey legs, spiced nuts and zombie boba. I managed to to leave the convention every day to get food outside and discovered the 16th Street Mall on a few blocks away. 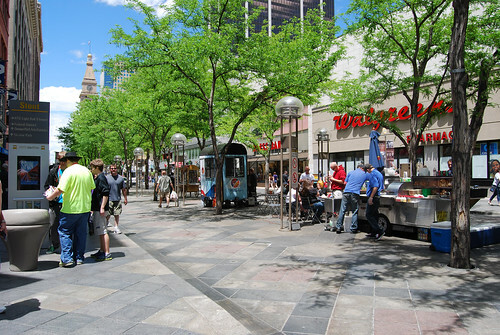 The 16th Street Mall runs along a free bus ride to and from an actual mall. Shops line the street and independent food carts are open most days. 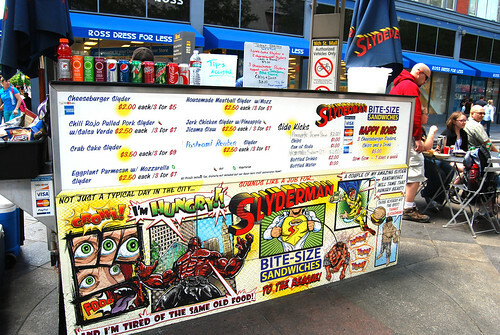 When I had initially spotted Slyderman, I thought they had done up their business just for the Denver Comic Con. Turns out they always have a comic-themed menu. Slyderman specializes in sliders: cheeseburgers, pulled pork, crab cake and eggplant parmesan are just a few choices of what they serve. 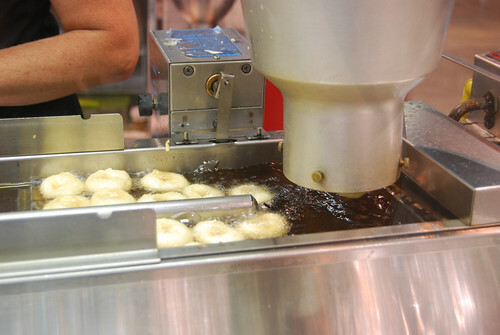 And they are cooked fresh while you wait. 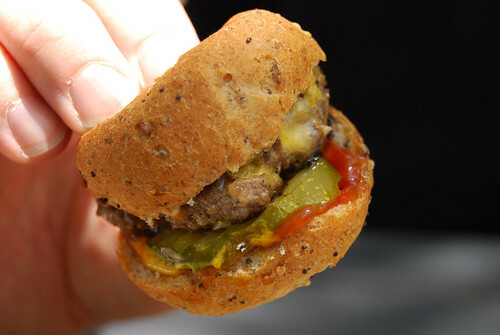 Three sliders equal approximately one full-sized sandwich. At the lowest price point of 3 cheeseburger sliders for $5, it beat the $9 turkey leg at the convention. 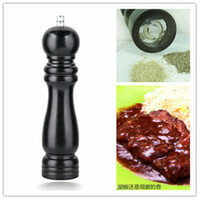 Plus it’s made to order. 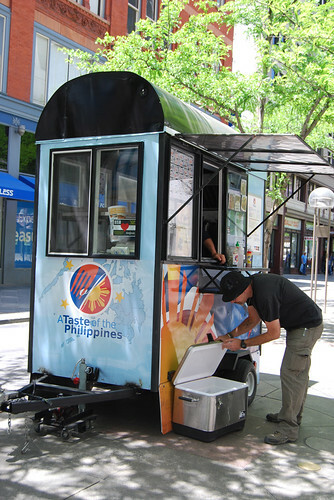 Right next to Slyderman’s is A Taste of the Philippines run by Kathy Gietle. 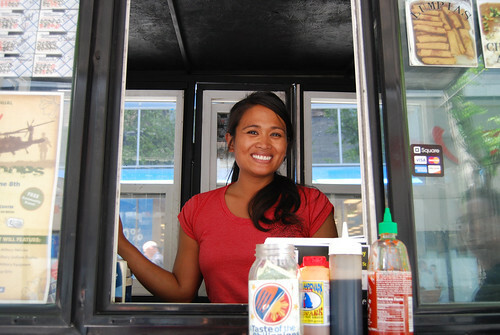 When she found out I was from San Diego, she said that Filipino food is hard to find around Denver and enjoys being a different lunch option for people of downtown. Regular entrees includes chicken adobo, vegetarian pancit and manok sagata. 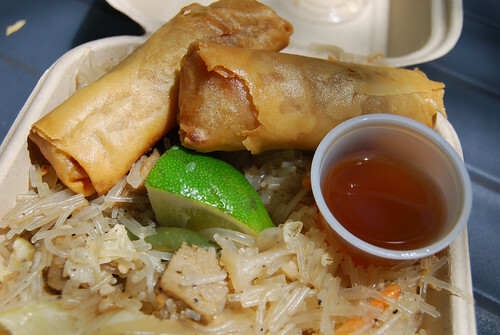 Appetizers are hand-rolled lumpia (served with her own recipe for sweet and sour sauce) and turon (fried banana). The pancit was seasoned with lots of pepper and seitan was used instead of shredded chicken. I appreciated that she made it without MSG especially since I’m extra sensitive to it. 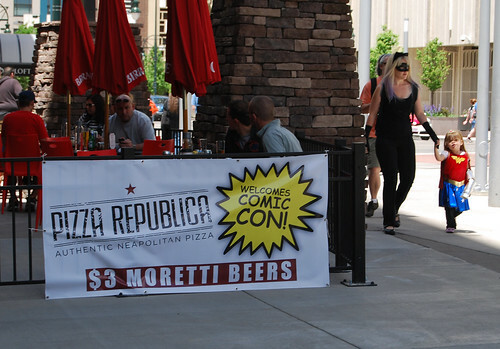 Only a few businesses around the convention center acknowledged comic con. Tom’s Urban 24 went as far as offering free meals to artists with comic badge throughout the weekend — I have yet to see something like that in San Diego. But unlike San Diego, I only saw two companies giving away free samples outside to con goers. 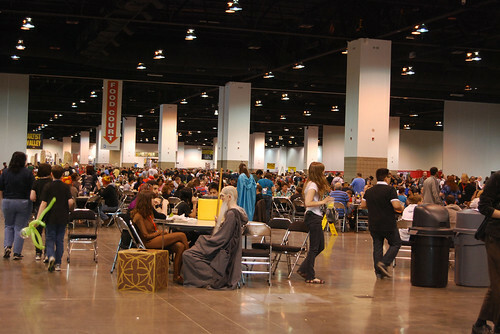 I know it seems unfair to make comparisons to San Diego, but with Denver Comic Con’s booming attendance, it will be interesting to see how area businesses will adapt and change to attract convention-goers. 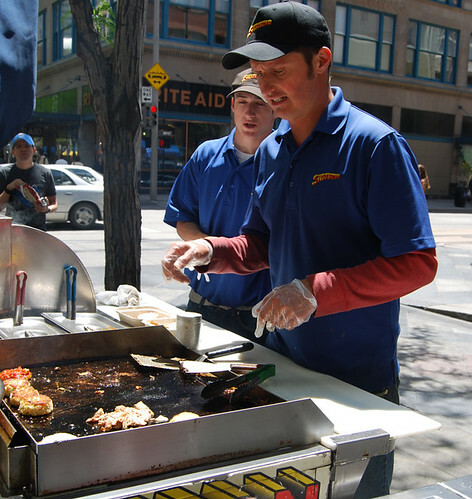 Until that time, I’m sticking with the 16th Street Mall for my food choices. Slyderman’s offerings look pretty good and I’m glad that they do the comic theme every day, not just for a comic convention. Cool to see a Filipino food vendor as well (a small correction – manok sagata should be ‘sa gata’, which means chicken “with milk”/in this case, coconut milk). That is so awesome that she offers that dish! You hardly see that anywhere, even at parties. It’s usually chicken adobo! You’ve made Denver one of the cities that we want to visit! I would make sure not to visit Denver when it’s hot because it was so bad towards the end. And I stand corrected on ‘sa gata’. Who is the character on in the food court? Looks like someone from Lord of the Rings.